Many services offer website uptime monitoring and SMS alerts when your website goes down, but most of them charge money for this service. 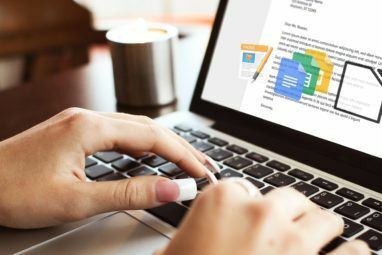 Using a clever Google Docs trick and the SMS capability built into Google Calendar Get Organized This Semester With Google Calendar Get Organized This Semester With Google Calendar Read More , you can quickly set up free text message alerts when your website goes down. This script will try to connect to one or more websites every five minutes. 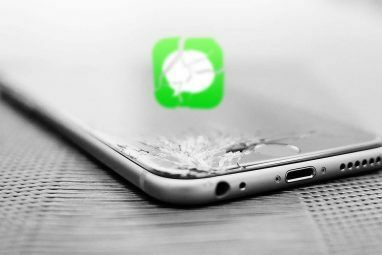 If it can’t connect, you’ll receive a notification by email and text message so you can deal with the problem immediately. While this is free, your cellular provider may charge you to receive SMS messages How SMS Messaging Is Changing The World [INFOGRAPHIC] How SMS Messaging Is Changing The World [INFOGRAPHIC] It's become the most common form of communication on the planet and the number one occupation of teenagers everywhere. That's right, I'm talking about text messaging (SMS) which, quite often, is the best way to... Read More . Check with your provider if you’re not sure whether they charge for incoming text messages. Once you’ve entered your cell phone information, click the Send Verification Code button and Google will text you a verification code – enter the code on the page and the setup process will be complete. After providing your cell phone information, you can also use the reminders feature in Google Calendar to receive reminders for calendar events. You can even create calendar events via SMS Adding Events To Google Calendar Via SMS (And More!) Adding Events To Google Calendar Via SMS (And More!) So many of us use Google Calendar every day without once thinking about all the extra useful things it's capable of doing for you. Every now and then you probably find yourself paying attention to... Read More . Once the script is initialized, enter your email address into the Email Address box and enter your website address into the Website URLs box. You can enter multiple website addresses with a comma and space in between them. If you’d only like to receive email notifications, you can set the SMS Notifications box to No – the script won’t send you text messages. Once you’ve provided your settings, click the Website Monitor menu again and select Start Monitoring. 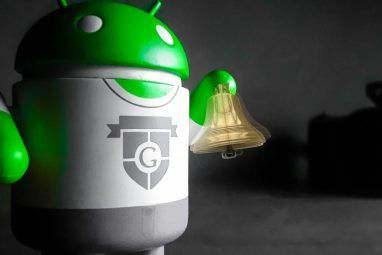 The Google Apps script will run constantly — even when you don’t have the spreadsheet open — checking your websites every five minutes. If one or more websites go down, it will email you and send you a text message (by creating a calendar event with a reminder). Thanks to Amit Agarwal at Digital Inspiration for writing this script! We’ve also covered other ways to monitor websites, including SiteMonitor Two Awesome Free Tools To Monitor & Verify Your Website [Windows] Two Awesome Free Tools To Monitor & Verify Your Website [Windows] Owning a website seems like a terrific idea on paper. The last thing most people consider when thinking up the next great website is the work. Owning a popular website means regular server maintenance, closely... Read More , a free desktop application that checks websites and provides desktop notifications if they go down. Pingdom is another good option. While it’s mostly focused on paid services, Pingdom does offer a free account that can check one website and includes up to twenty SMS alerts – much more limited than the script above if you’re looking for a free solution. How do you monitor your website’s uptime and get alerts when it goes down? Leave a comment and let us know about your favorite tool! Explore more about: Google Calendar, Google Docs, Notification, SMS, Webmaster Tools. This is good information as that's always issue to get notified. Thanks and keep up the good work. Chris, if possible, can we please get an update on this article? I’m not seeing a Mobile Setup tab on Google Calendar anymore. Perhaps there’s another way around this? There is no mobile in the free version of calendar. He left that part off. Chris, if possible, can we please get an update on this article? I'm not seeing a Mobile Setup tab on Google Calendar anymore. Perhaps there's another way around this? just to be clear .. If I just select YES in the sms box and don't write anything in the email, it will automagically use the SMS number provided ? I have just set up Google calendar and this website monitoring tool. For some reason it seems to think my websites are down and keeps sending me texts. Has anyone else had this problem ? I never had this problem when I tested it. Make sure your website's address is entered properly -- that could cause it. Cool! I'll have to recommend this to some of my friends who run some sites! isnt it a little bit unsecured? This script asks permissions to subscribe to external events. Well, the script does need to do those things. It needs access to your spreadsheets. It needs the ability to send email, so it can email you notifications. It needs to read/write from the calendar, because this is the trick it uses to send free SMSes. Bear in mind that every Windows application, Firefox browser extension, and many Chrome extensions and Android apps get many of the same permissions when you install them. Google just forces the script to enumerate its permissions. I had same issue with the permissions the script was requesting. But you are right, I guess it does need those permissions to execute and trigger the alerts. However you could get the script approved by google to give user some confidence. You include this line in your article: "Check with your provider if you’re not sure whether they charge for incoming text messages.". I'm guessing that this is because you know of some providers in some countries which make charges for SMS messages, on top of a normal cell phone account. Is this so? I do have text alerts for some things on line and don't appear to incur a charge. Would what you outline cost me anything on a UK cell phone account, to the best of your knowledge? It depends. It's common with prepaid cell phone providers, where you don't pay a monthly fee but pay per-message. 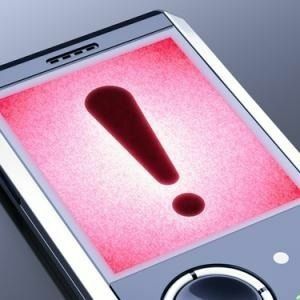 Some prepaid providers will let you receive SMS messages for free (my provider in Canada doesn't charge for incoming texts), while some will charge you. This is true of SMS messages in general. It's not anything specific to this trick, just something to be aware of. Very weird way to set up uptime monitoring, but I guess it should work. My take on this is that if you really need to know when your site is down, you woudn't stick with this nice Google Docs / Calendar "hack". It's just easier to click-click and get up and running with some paid service like http://monitive.com or http://www.serverdensity.com and plenty others. I definitely would agree for larger sites. It is weird, but that's what's so cool about it! It's such a geeky hack. This is really helpful, and the best part is that its relatively simple! thanks! Can you think of some way to use Ifttt for this purpose . But I don't think you can use a trigger to monitor whether a website is up. Hm. Interesting. I'll have to give this a try. I'd agree with Mac Witty though, I think email would be enough. I use Pingdom - easy to "set up" and have worked well for us. The best is the monthly report. I don't care if the site is down 5 minutes now and then but if it happens often and it add up to many hours then it might be time to change host. I don't use SMS notification I don't want to have a SMS in the middle of the night because the site is down 2 minutes. E-mail is enough for me and Pingdom have no limits for them.